Apple has just released the latest Mac OS El Capitan 10.11.4, while users are flocking to update to v10.11.4, some wonder the differences between latest El Capitan 10.11.4 and Windows 10, what are the Windows 10 VS OS X 10.11.4 El Capitan advantages and disadvantages. Figuring out the better operating system in Windows 10 and OS X 10.11 may not be an easy task without knowledge of what each OS going to offer. To help users with this, the basics, features, disadvantages and advantages of Windows 10 and OS X 10.11.4 are detailed in this guide. Windows 10, codenamed Threshold, is the new generation of Microsoft operating system. The latest Windows 10 is launched on 29 July, 2015. This time, Microsoft attempts to deliver a killer OS that works on all the Microsoft devices, an edge for Microsoft in OS X vs Windows contest. Mac OS X 10.11.4, also known as El Capitan, is Apple's latest desktop/laptop operating system. It is released together with the new iPhone SE, iOS 9.3 on March 21, 2016, and it comes with improved performance on Mac than the previous versions of El Capitan. To play and download online videos after you update to Windows 10 or OS X 10.11.4, MacX Video Converter Pro is recommended for that it can seamlessly working on both Windows 10 and OS X 10.11.4 El Capitan as well as other Windows or Mac OS to easily download any 4K 2160P, HD 1080P/720P, SD videos and MP3 songs from more than 300 sites, including YouTube, Vimeo, Vevo, Dailymotion and more in seconds, and convert the downloaded or local HD/SD videos to widely-used formats like MP4, MKV, AVI, FLV etc for easy playback on iPhone, iPad, Android devices, with world's No.1 fast speed and no quality loss. When compare OS X 10.11.4 and Windows 10, there are too many aspects for one size to fit all. Therefore, let's have a look at the most-concerned factors of most users in the Mac OS X 10.11.4 vs Windows 10 fight. Price: How much will each OS cost? Is there any expenses for OS maintenance, bug fixing and the like? Security: Which provides mores stable and reliable security? Software: Surely both specific operation systems support some good software, but which provide more and better applications between Windows 10 and Mac OS X 10.11? Performance: How fast can your operation on PC or Mac be? Is it stable or not? Apple has released Yosemite, the last Apple operating system for free, there is a good reason the believe that the new OS X El Capitan is also free. If Apple wants to label a price tag on it, then the price of Mountain Lion at £13.99 may be a criterion. It seems that Windows 10 and OS X 10.11.4 reach a tacit agreement in this regard as Windows 10 will also be free to all users of Windows 8/7 and most users of Windows Phone 8. Apple OS is regarded as the top operating system offering the highest security. And security improvement is also a focus for the new Mac OS. Security is not a big problem for OS X 10.11.4 El Capitan. When it comes to Windows 10 vs OS X 10.11.4, Windows 10 brings more surprises in security. Claimed as an operating system that runs on all types of devices, including Windows PC and mobile devices, Windows 10 can significantly reduce the overall attack chances by simplifying the management. We can conclude that both Windows 10 and OS X 10.11.4 El Capitan are systems that users can rely on. Also, as the same operating system for all devices, Windows 10 provides common software and apps for PC, tablets and phones. Which means, now, useful apps like Word, Excel, PowerPoint and more are available for your phones and data can be synced automatically via Microsoft's OneDrive. Even facing with such genius concept, Apple handles it strongly. Right, Apple has long-term experience in working across Apple Devices. But compare OS X 10.11.4 and Windows 10, the latter is more superior as many of its apps can be widely used on other devices. In the Windows 10 vs OS X 10.11.4 fight, what users can most is the overall experience of each operating system brings. Is it fast, smooth, without any flaws? It is said that the new OS X 10.11.4 El Capitan focuses on the under-the-hood performance improvements. Besides, the current system font on the Apple Watch San Francisco will be added to make OS X 10.11.4 run more smoothly on Macs. But on the other hand, Windows 10 is said to be the best windows OS, providing good performance of games with little power usage and CPU occupied. It's hard to tell the winner in the Microsoft Windows 10 vs Mac OS X 10.11.4 El Capitan battle this round. Windows 10 Uses Your Bandwidth to Distribute Updates. According to the feedback from users who have upgrade to Windows 10, the Windows 10 adapts a new BitTorrent-like P2P distribution method to send and distribute update files to those who need it. Admittedly, this is a great feature for those who want fast Windows 10 updates without any data cap. However, this P2P method will automatically eat up your allotment of data without reminding you and that's where many users are not happy with. This can be one of the disadvantages of Windows 10 compared with El Capitan, but in fact, it can be easily solved: Start menu > Check for updates > Advanced options > Chose how updates are installed > choose how updates are delivered > Disable "Updated from more than one place". Windows XP/Vista can't get free Windows 10 update. Windows 10 is better than El Capitan? We are not sure in this regards. While OS X 10.11 El Capitan is free for all Mac usres, Windows 10 is not. Windows 7/Windows 8.1 users can get free upgrade to Windows 10, but users of Windows XP/Vista which take up a great proportion among Windows users will need to pay for it. Windows 10 and OS X 10.11.4 Buying Advice: What will Your OS Be Mainly Used for? 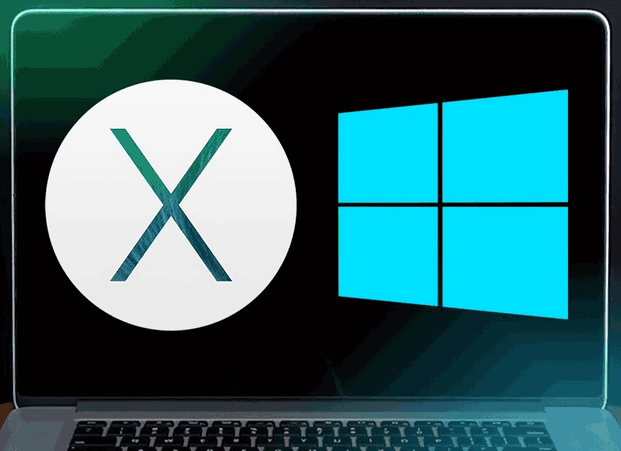 After the brief discussion of the main factors we should pay attention in the OS X vs Windows comparison, you may still have trouble choosing Windows 10 or OS X 10.11.4. Well, as both OS X 10.11.4 and Windows 10 have advantages and disadvantages, you'd better figure out what you are going to do with the OS. For Business, the OS should be good at data handling. For Home, the OS should have a gaming and word processor. With this in mind, let's see the what Windows 10 and OS X 10.11.4 El Capitan will bring. There are many spyware and virus applications programmed for windows. Less secure than OX S 10.11.4. The Wi-FiSense feature will automatically share your WiFi password with your contacts, including Outlook.com, Facebook, Skype users. Limited programs choice when OS X 10.11.4 vs Windows 10. The computers to run the OS and the software are pricey. Verdict: From the above disadvantages and advantages of Windows 10 and OS X 10.11.4 we can see, maybe it's hard to figure out the winner in the Windows 10 vs OS X 10.11.4 comparison. But some trends can still be identified. Apple OS X El Capitan is a good choice for most home users. Its capacity ranges from casual buyers to computer professionals. Compare OS X 10.11.4 and Windows 10, Windows 10 is more widely used: more than 1.4 million PC upgrade to Windows 10 within 24 hours after its release and the update computers is close to 10 million in two days. As the primary operating system for most computer users, it can handle tasks for both home an business use. By the way, now the successor to OS X 10.11.4 is coming, you can conside to update OS to OS X 10.12 after detailed comparison between El Capitan and Fuji. No matter which you choose to update in OS X vs Windows battle, you will need programs other than those built-in to make the most use of Windows 10 or OS X 10.11.4. To achieve that, below we list a few programs that you may need. 1. MacX Video Converter Pro: An all-round video converter, online video downloader, video editor, screen recorder and slideshow maker for both Mac and Windows. 2. Mozilla Firefox: A free and open-source web browser developed for Windows, OS X, and Linux with many useful addons. 3. MacX DVD Ripper Pro: A world-class DVD ripper which works on Windows 10 and OS X 10.11.4 to rip any home-made or commercial DVD to MP4, H.264, MOV, AVI etc and iPhone 6S/6S Plus/6/6+/5S/5C/5, iPad Air 2, iPad Pro, iPad Mini/4, iPad 4/3/2, Android etc. 4. 5KPlayer: A free (MKV) HD video player, music player, AirPlay media streamer and online video downloader for both Windows 10 and OS X 10.11.4. MacX Video Converter Pro is an all-in-one Windows 10 and OS X 10.11 video converting program with top quality and fast speed. This feature-rich video converter can help you easily convert HD or SD videos to mobile devices.